Our EPA registered facility comprises over 100,000 square feet of manufacturing space and a 200,000-gallon tank farm with bulk blending capabilities. An on-site testing lab and strict quality control procedures ensure consistent quality of every blend. Located in the Dallas Fort Worth metroplex, Dalden Corporation’s facilities provide easy access to major U.S. roadways, ports and airports. In addition to domestic US customers, Dalden ships to a world-wide customer base. Dalden has a full-time work force of employees, and a readily accessible local labor pool to accommodate surges in demand due to seasonality or rush projects. We use a range of filling machinery and fill millions of units each year. Capabilities include custom, contract blending from 100 to 50,000 gallons of chemicals, formulation of new, existing, and modified products, and nitrogen blanketing for moisture-sensitive products. Blended chemicals include water-based cleaners, solvent-based lacquer thinners, glass cleaners, and military-specific decontaminants. 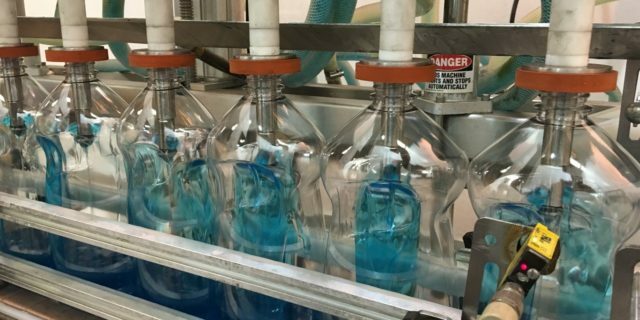 We can precision fill bottles as small as 0.5 oz with our peristaltic filling equipment up to 2.5 gals. on our high speed filling line. Custom label design, screen printing, warehousing, and quality control testing with certificate of analysis and SDS creation services are available. We can fill glass and plastic bottles, as well as tins and jars. Our high-speed liquid filling lines can produce up to 100 bottles per minute. Included in our operations are heat induction, capping and sealing. Dalden excels at products like nail polish remover, solvents, degreasers and cleaning products. Dalden provides all the assembly kitting solutions that your business is looking for. Our team possesses the industry knowledge and experience to manage the kitting process from sourcing and receipt of individual kit components all the way through packaging and distribution. Dalden provides a turnkey solution, from procurement to setting quality control standards, storage of finished goods, and coordinating delivery. We work with each of our customers to develop a production plan for each project that ensures efficiency and superior quality control. Dalden provides bulk filling and bulk blending services for chemical liquids, powder, and dry solids. We can work with a variety of sizes from gallon-sized to splash blending full tanker loads. 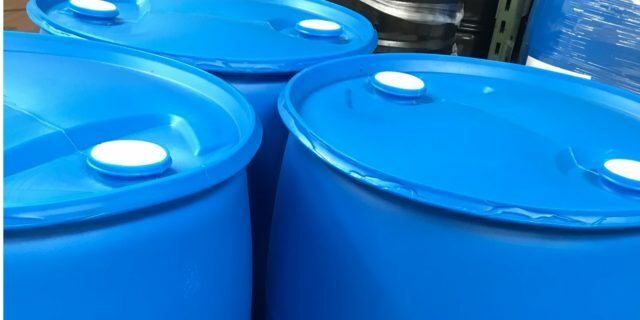 We work with all plastic types such as PET, HDPE, PVC as well as metal cans, plastic pails, metal and plastic drums and large portable totes. Our on-site deionization system can produce large volumes of high-purity water to blend in with your proprietary formula concentrate. Dalden has comprehensive coding & labeling solutions. 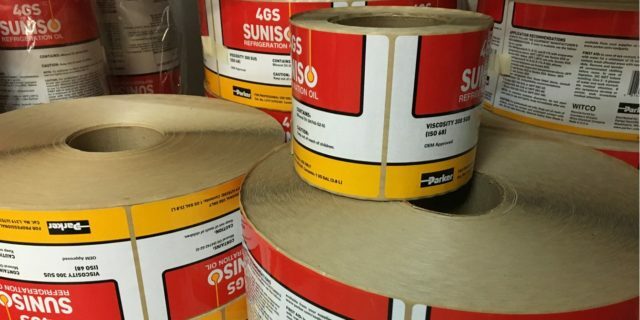 We provide can label sourcing and printing options and apply labels in-house with automatic or manual label application. Customs are also free to provide us with their label if they prefer. We can label multiple labelling combinations for your packaging as well as safety seals and tamper-evident seals. 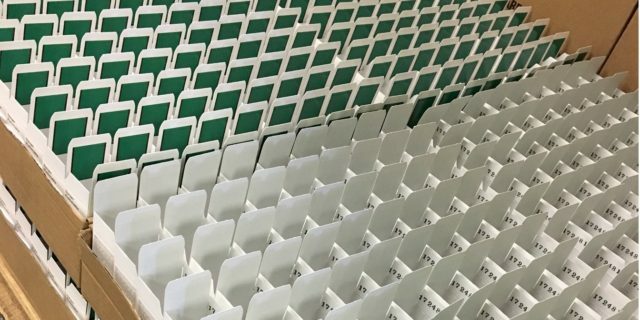 Dalden offers automated coding services for a range of identification purposes, including expiration dates, batch codes, and production date codes to bar codes and QR codes. In addition to the use as item identification, coding also enables product supply chain traceability. Dalden has comprehensive experience with compliance to properly fill flammable and caustic liquids. 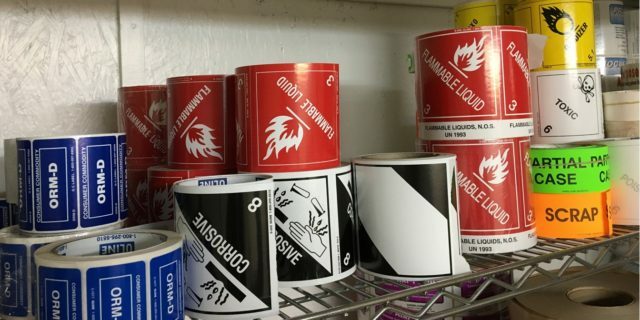 Dalden is also experienced in practical aspects of compliance such as filling out shipping documents, marking and labeling, placarding and packaging hazardous material shipments. 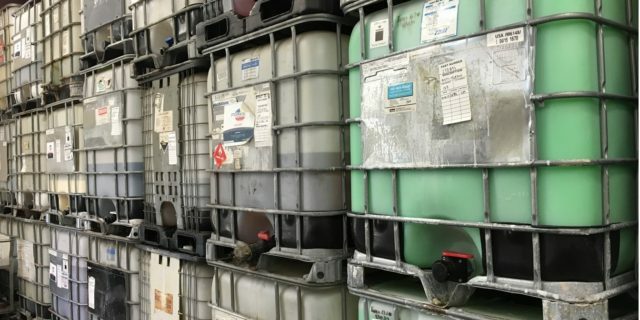 Dalden will make sure your products are compliant according applicable DOT Hazardous Materials Regulations or specific regulations of the destination of the goods.